When the sun is strong most people enjoy having the awnings on their RV extended to they can create shade while still enjoying the nicer weather. However if it gets windy, the wind can get caught in an awning that is too loose, making it flap around in the breeze. Attempting to anchor the awning with stakes can sometimes be a hassle. The Camco Power Hook Awning Tensioner takes away that issue by making sure the awning is tight, while still being simple to install. 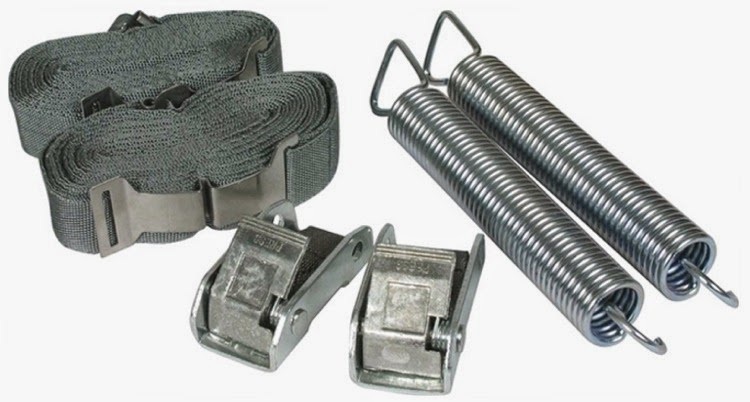 The Camco Power Hook Awning Tensioner uses a system of straps, springs and clasps to pull on the awning roller until it is taut. This keeps the awning from moving around in the wind and creating undesirable background noise. 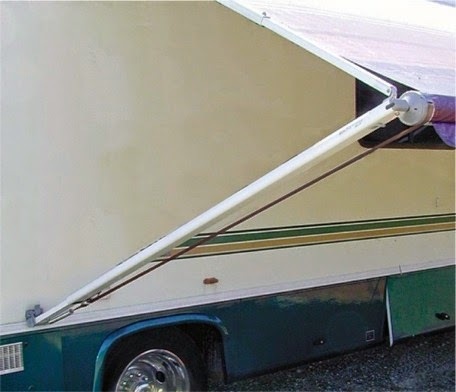 The awning stays tight without getting loose and sagging down. Light rain runs off more easily, rather than collecting in the middle and causing the awning to sag. The nylon material on the straps is made to be durable and UV resistant. Requiring no tools to set up, it can also be removed when not in use. Using the Camco Power Hook Awning Tensioner will provide you with a simple way to keep your awning securely tightened. There will be no more searching for a way to secure your awning to the ground. It works with electric as well as manually operated awnings. Screen rooms can stay in place while using this system, further adding to its convenience.